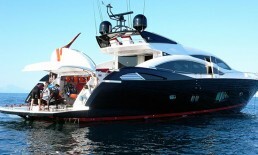 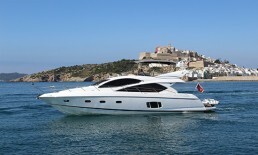 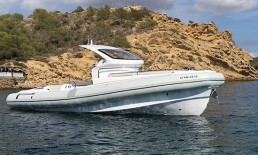 With Mangusta 72 you will experiece the magic of Ibiza in a really special way. 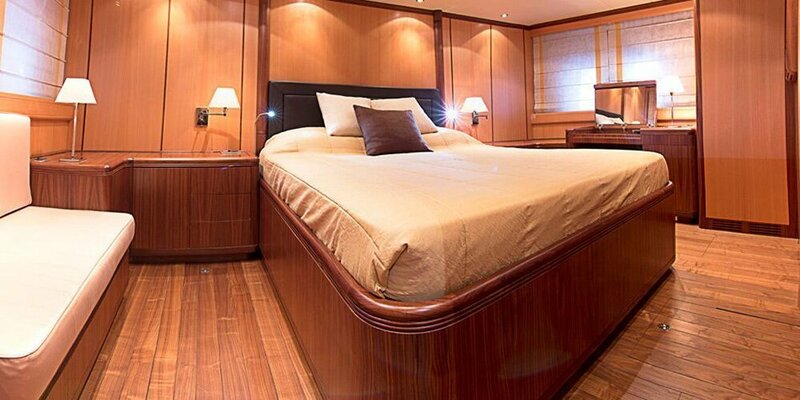 This yacht hosts up to 12 guests for day charter and accommodates up to 6 overnight guests in three cabins. 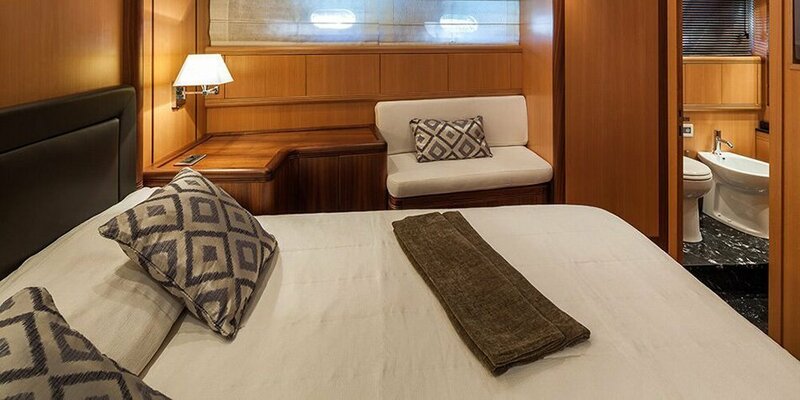 The master cabine and the VIP cabin are both equipped with double beds, while the third cabin comes with twin bed. 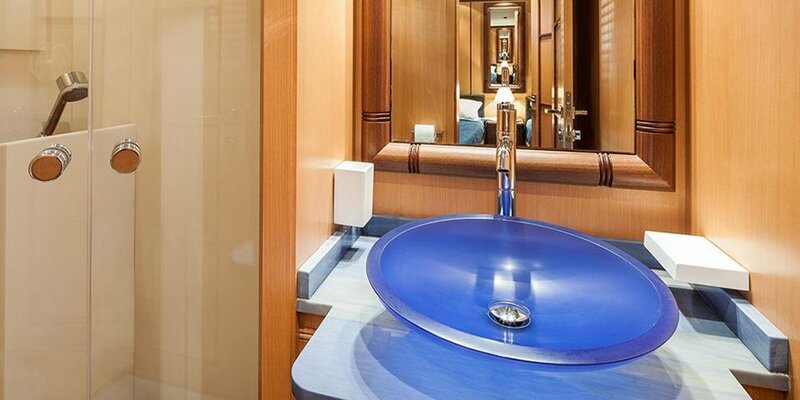 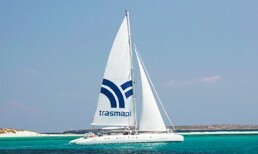 All cabins are air-conditioned and have private en-suite bathrooms. 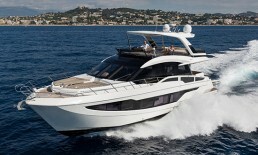 The deck saloon can either be transformed into formal dining, or casual alfresco dining. 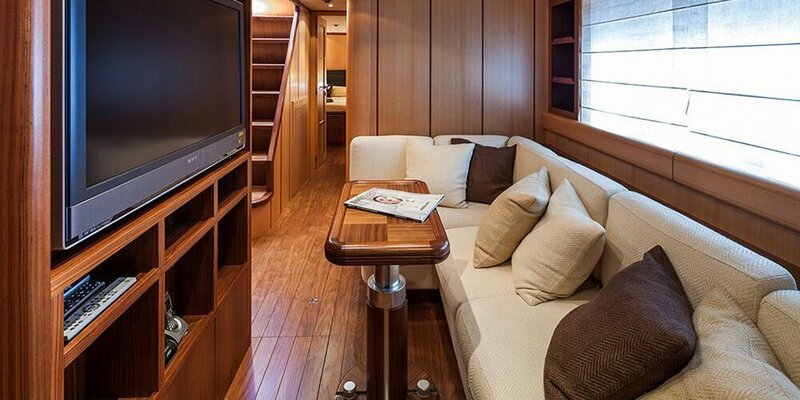 The lounge area is extremely spacious and there is a flat screen television for relaxing and watching movies. 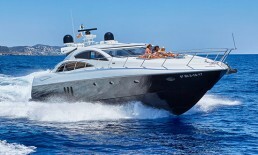 One of the most special features of this yacht are the large spaces for sun bathing under the Mediterranean sun. 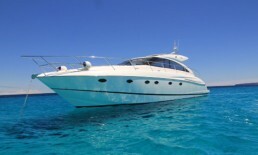 For entertaining and water sports, you can enjoy doing water ski, wakeboard and explore the underwater world with some snorkel equipment. 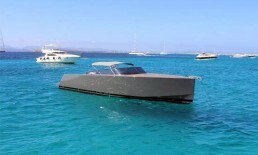 A jet ski and Seabobs can be added.